Dr. Baogang Guo received his Ph.D. in Political Science from Brandeis University in Massachusetts, USA, and BA and MA from Zhengzhou University in China. 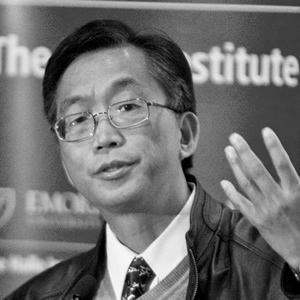 He is Professor of Political Science at Dalton State College and a Research Associate at China Research Center in Atlanta, Georgia, USA. He served as President of Association of Chinese Political Studies (ACPS) between 2008 and 2010, and has published and co-edited eleven books on Chinese politics. His recent publications appeared on referred academic journals, including Asian Survey, Journal of Chinese Political Science, Modern China Studies, Journal of Comparative Asian Development, Twenty-first Century, and American Journal of China Studies. He was recipients of a number of rewards, including as inaugural recipient of Faculty Award for Excellence in Scholarship at Dalton State College (2011) and James D. McBrayer, Jr. Best Paper Award from Georgia Political Science Association (2004).